Catalyst is the leading nonprofit organization with a mission to accelerate progress for women through workplace inclusion. William R. Grace, an immigrant, founded Grace Institute, to create a tuition-free program to educate and to find employment for women in need. Throughout the 20th and 21st centuries, over 100,000 women at Grace Institute have learned skills needed to successfully enter the workforce. 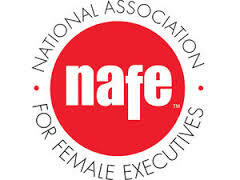 ​The National Association of Professional Women (NAPW) is a membership-based organization that provides women with tools and resources designed to help them achieve professional success, social wellness, and financial security.